Rachel has acquired considerable skill in service development and clinical leadership through a range of senior roles in health, education, corporate and community settings. This has included co-ordinating a multidisciplinary Pain Service at a private rehablitation hospital and project-managing various community evaluation and consultation projects. 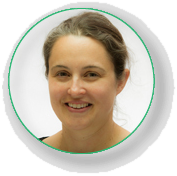 She is currently involved in facilitating the development of a best practice, multidisciplinary pain management service within the primary health sector in the Northern Territory. Rachel is an advocate for service delivery models that balance financial sustainability with principles of equity and accessibility. She currently balances work at Innovative Rehab with her role as Clinical Director at a community-based mental health practice. She remains active in preparing reports, as well as grant and tender applications. Dr Karen Hallam joined the Innovative Rehab team in 2016. She is a researcher, practitioner and evaluator in the health and mental health field with 14-years’ experience delivering reports, tenders and grant applications for research and evaluation projects in the tertiary and commercial sectors. Karen completed her PhD in the Department of Psychiatry at The University of Melbourne and a Masters of Clinical Psychology at RMIT to be both a researcher and clinician. She has extensive experience in project design, analysis and delivery (including survey construction) for University and commercial sponsors. Karen has worked for six Victorian Universities as a statistical consultant and specialises in quantitative research design, implementation and analysis. In addition to consultation roles, Karen has 35 peer reviewed journal articles and over 1,000 journal citations in the areas of health, mental health and novel pedagogical approaches to health worker education. 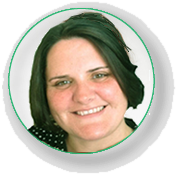 In addition to her research and project management expertise, Karen is a Clinical Psychologist and Supervisor with experience within the public mental health and private sectors. Karen has spent the past six years engaged in the education of clinical psychologists in postgraduate psychology programs at Victorian Universities and has sound knowledge of the interrelationship between a foundation of sound pedagogy and industry fitting in improving learning outcomes in complex systems. With a strong background in clinical education, Steve has mentored countless undergraduate students over a number of years – both in Victoria and interstate, helping guide students through the realities of clinical placement while bringing to life the hands-on therapy experience in a down to earth and human way. He served on the Clinical School Management Committee at Latrobe University for ten years, and is currently involved in student simulation practice at the Australian Catholic University. 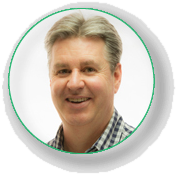 Steve is a professional Physiotherapist, with over 20 years experience encompassing a broad range of areas within the profession. He is highly sought after for training, consultation and support by therapists from a range of disciplines working with clinically complex rehabilitation patients.